One of Kangaroo Island's finest large scale farming properties has a new owner after interest from a wide range of buyers. Colliers International's Jesse Manuel, Tim Altschwager and Nick Dean have sold 'Woodlana Station', a 2,823.3ha landholding located at Cassini on Kangaroo Island's central North Coast, for $4.7 million. Woodlana is one of the largest contiguous farms on Kangaroo Island comprising in excess of 2,000ha of cleared and pastured land. The property was sold to Kerry Stokes and long term partner Peter Murray, whose operations on Kangaroo Island and the Fleurieu Peninsula now exceed 10,000ha. 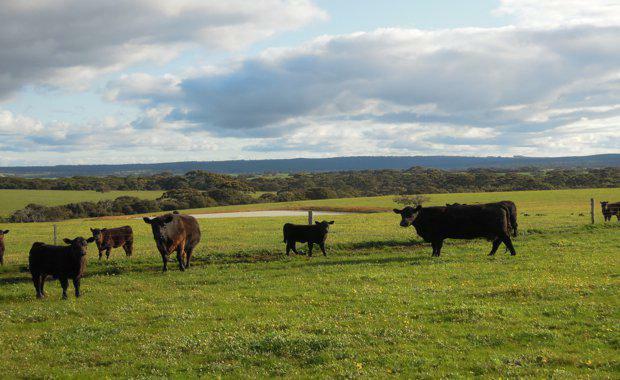 Mr Manuel said the property attracted interest from a diverse range of buyers including Mid North and Eyre Peninsula farmers seeking higher rainfall country, as well as some of the larger beef and wool producers on Kangaroo Island. Also in the running were city-based investors and Asian investors, predominantly Chinese who are attracted to the Kangaroo Island brand. "Chinese investors in particular have made several investments on the island in recent times in the food and beverage, tourism and farming sectors. For clean food production, the remote location has significant benefits from a branding perspective," Mr Manuel said. "There is clearly demand from some of South Australia's substantial graziers and pastoralists for large scale holdings on Kangaroo Island, given values can be as much as 30% lower than values in similar rainfall regions on the mainland, such as Limestone Coast. "Mr Altschwager said Woodlana was an outstanding landholding. [urbanRelatedPost][/urbanRelatedPost]"Regarded as one of the best large scale grazing properties on Kangaroo Island, it displays a well-developed layout featuring extensive lane-ways, preserved shelter belts and excellent agronomic maintenance for optimum pasture and fodder production," he said. "As such, its sale represented a unique opportunity to secure such a large scale, versatile holding." Accommodation on the property includes a substantial five-bedroom rendered brick veneer homestead. Other improvements include a manager's house, several large machinery and hay sheds, workshops, shearers quarters and six-stand shearing shed. Woodlana is located 25km west of Kingscote, with main access to the property from Springs Road, which runs off North Coast Road. "Woodlana's size provides for economies of scale, making it a highly efficient and diverse grazing enterprise most recently carrying in excess of 500 Angus beef breeders plus progeny and bulls and around 6,000 Merino and Merino cross ewes plus lambs and weaners," Mr Altschwager said. "The property is large enough to sustain full time management."